A yacht has been towed to safety after a collision with a fishing boat in the Moray Firth. 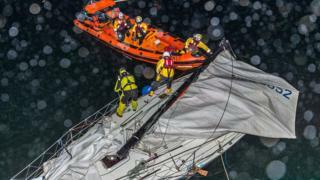 The yacht Spirit, with one man on board, was brought ashore with the help of the Macduff lifeboat crew after the incident early on Friday morning. It is understood the fishing boat was not badly damaged in the incident.